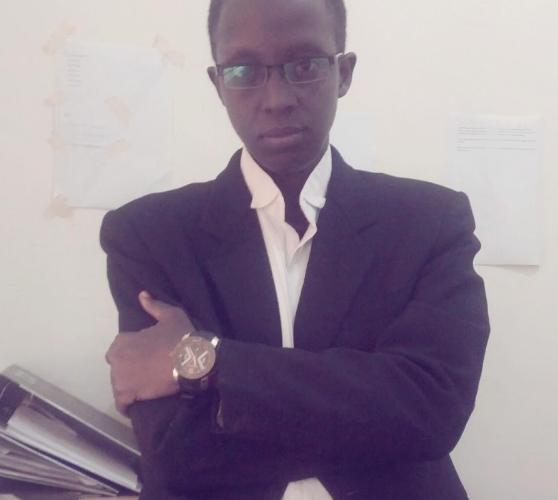 Kim Mukasa, a human rights and refugee lawyer is a female to male transgender activist from Uganda, East Africa. Born and raised in Africa, he has spent his professional years devoting his energy/time to activism advocating for the rights and freedoms of marginalized communities, minority groups and vulnerable individuals in his region and the rest of the world. Mukasa represents forced migrants from different regions in Africa including East and Horn. For five years, he has fast tracked the protection of gender minorities including Trans*, Intersex children, women, girls, sexual minorities, male survivors of sexual violence, Persons With Disabilites, elderly, survivors of Female Genital Mutilation, forced marriage, and domestic violence. He has experience in training law enforcement agencies like police and prison authorities on gender identities and Sexual Gender Based Violence. He has also engaged in dialogues with health care providers, social workers and ministries. He continues to contribute to strategic litigation preparations and the challenging of discriminatory legislations in Uganda. Kim is on the Steering Committee of The first International Trans* Fund. He is on the Advisory Board of the Trans respect v Transphobia worldwide Project of Transgender Europe. He is also a rising researcher/consultant on identity and sexuality issues in the region with experience working with UHAI an activist region Fund. Kim Mukasa loves spending free time outdoor adventure, nature walks, sight-seeing, movies, music and making new friends.